There have been three major trends driving the coin market during 2011 that are continuing to influence the market into 2012. All three of these trends are economically driven. The most influential of these trends has its roots deep within the global economy. It’s the global debt bubble. Here in America that debt load reaches from individuals to municipalities, county governments, state governments, and finally the Federal government. And sovereign debt, as we all know, is in crisis mode around the globe. As a result, gold has been a hot commodity throughout 2011 and during prior years. Many financial professionals even refer to gold as a currency. Silver has also been considered a financial metal, in addition to its industrial utility, and routinely follows the market trend on the heels of gold. Although, we’ve seen some divergence in the short-term market trends between these two metals as the gold market has reacted to economic crises, especially as its price has climbed during 2011, as shown in the charts below. This divergence is illustrated as the gold price was driven to comparatively loftier levels than the silver price during the July to August period when Congress found itself in a stalemate over raising the debt limit. 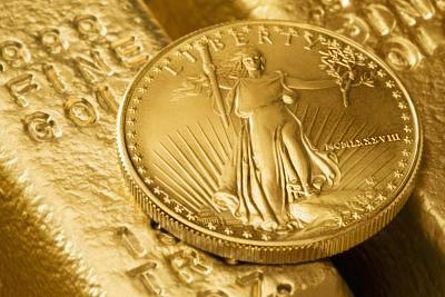 Gold began 2011 at a closing price on the London exchange on January 4 at $1,388 and ended up the 2011 year at a closing price of $1,531 on December 29. In the interim it reached a closing price of $1,895 on two consecutive days, September 5 and 6, after breaking through the $1,900 benchmark in intraday trading. The low price for gold during 2011 was a closing price of $1,319 on the London exchange on January 28. Silver started 2011 at a London closing price of $30.67 on January 4 and ended up at a closing price of $28.18 on December 30. During the interim in 2011 silver reached a high closing price on the London exchange of $48.70 on April 28, after coming within cents of its all-time high price earlier in the day. The 2011 low was $26.16 on December 29. The silver price showed strength from mid-July to mid-September by remaining in the low $40s during that time, while the gold price continued to advance to its all-time high of around $1,900. But those are just short-term trends. Below are charts of the gold and silver prices from January, 2000 to the present. Clearly, these two metals are in a long-term price trend that’s rising. You can see how silver prices are traditionally more volatile than gold prices. Of course, when investing in these metals, it’s difficult, if not impossible, to pick the short-term highs and lows at which to buy and sell. I urge my customers to go with the long-term trend. Don’t buck the trend. Don’t try to outguess the market. Dollar cost averaging, by purchasing at various price levels over a period of time, is often used by some of my customers to even out their costs when buying. So, what does all this mean to the coin business? It has meant much more business for coin dealers, but higher prices for collectors who collect common date coins that are heavily influenced by gold and silver prices. On the other hand, many collectors have used these price advances as opportunities to cull out some of their common gold and silver coins and use the proceeds to purchase more expensive collector coins they’ve always wanted, but couldn’t afford. The higher prices have also brought out into the market lots of accumulations of coins the general public has had stashed away for decades. And along with the gold and silver coins the public has sold to coin dealers have been coins of better date “collector coins.” Some better date silver coins have gone into the melting pot, as their collector values have been exceeded by their silver values. But a lot of these kinds of coins have wound up in coin dealers’ inventories. And this illustrates another major trend in the coin hobby. Except for some die-hard collectors who have solid jobs, middle class collectors have been largely cut out of the collecting market. Job losses, debt reductions, and general caution over spending have curtailed their coin collecting activities, and some established collectors have had to become coin sellers, instead of coin buyers, for the same reasons. This trend has resulted in soft prices and lower sales for many collector coins regularly purchased by the middle class – which is the majority of people. So if it wasn’t for all the increased business in the precious metals area, many coin dealers probably would have been forced to close up shop during the past two or three years. Instead, most dealers have had very good years in business during that time. However, on the high end of the coin market, business has been brisk in selected areas. Investors looking for alternatives to main stream investment vehicles have been buying high end rare coins, including “trophy rarities,” in which to park some of their money. A great example of this is the 1787 Brasher Doubloon, with the “EB” punch on the eagle’s breast, which sold for $7.395 million at the end of 2011. This is now the third rare coin that has sold for more than $7 million. The first was back in 2002 when a famous 1933 $20 Saint Gaudens gold coin sold for $7.59 million. It’s the only example of this coin issue that the U.S. government has legally allowed to be privately owned. The third coin ever to sell for more than $7 million was a 1794 silver dollar, believed by some numismatic researchers to have been the first silver dollar struck at the U.S. Mint. It brought $7.85 million during spring, 2010. Of these three sales, the recent Brasher Doubloon sale has best demonstrated how much great American numismatic rarities have appreciated in price during the past several years. I’ve been writing regular major market reports about the U.S. coin market for the past decade or more, for several publications, and in doing so I’ve observed these transactions and have knowledge about the backgrounds of some of these coins and have talked to some of the principals involved. I know most of them well and do business with them. This Brasher Doubloon, one of just two pieces known, but also unique in its own right, is one of the most important coins in American numismatics, and for that matter, is also one of the most important coins in world numismatics. Of the other two coins mentioned above, the 1933 $20 Saint Gaudens coin came from Europe when it surfaced, just a few years before its famous 2002 public auction sale in which the U.S. government participated – an interesting story to search for if you’re not familiar with it. These 1933 $20 gold coins were illegal for Americans to own and some numismatists believe this 1933 $20 is the famous King Farouk specimen, sold during the 1940s. Previously, it could not have been sold publicly, as it was in 2002, because of the risk of confiscation by the U.S. government, until it became the only example of this coin issue to be declared legal to own. So a previous price was never established in which to compare the 2002 sale. Similarly, the 1794 silver dollar mentioned above was thoroughly researched by the seller and is believed to be the first silver dollar ever struck at the U.S. Mint. It was given the status and grade of “Specimen-66” by PCGS, and previous to its sale, it was extensively exhibited by the owner who has referred to this coin as a national treasure. Reportedly, the seller purchased it several years before the 2010 sale for “millions of dollars,” but its status had been elevated during the time he owned it, making it difficult to compare its price appreciation with the coin’s previous status. So, the recent sale of the Brasher Doubloon for a reported $7.395 million, with the Ephraim Brasher “EB” punch on the breast, as compared to the other example which has the punch on the wing, is most important in illustrating the trend of the market for trophy rarities because it is a coin that has been known for years and has been exhaustively researched. It has not had a change in status like the other two important coins mentioned above have had. This doubloon was last sold at public auction during January, 2005 for $2,990,000…and now for $7.395 million in a private transaction. So what are the people who invest such large sums of money expecting when they buy these trophy rarities? First, such buyers aren’t just freely throwing their money around, like the proverbial rice after a wedding ceremony. Negotiations for such rarities are usually well thought out, and sometimes tricky. Secondly, buyers expect these coins to at least hold their values, but hopefully to appreciate. They are looking for investments that are alternatives to risky mainstream investments, and these buyers are often expecting economic inflation during the next several years. And thirdly, another consideration taken into account is the vast price differential between these high end numismatic rarities and record-selling works of fine art, which are now bringing more than $100,000,000 on the high end. While the coin market probably won’t see those nine figure price levels anytime soon, the reasoning is…there’s huge potential for the price of famous American numismatic rarities to close the gap with fine art, even by a comparatively small margin. Therefore, is it possible that some of the great American numismatic rarities could become worth $25 million or more, for example? Absolutely!